2.1 What is a Car Subwoofer? 3 Why Do You Need a Car Subwoofer? Your new ride deserves the best and that includes the sound system that you use with it. An awesome car audio system is not complete without the best car subwoofer in the list. Subwoofers are responsible for regulating the bass sounds that the audio system produces. The bass are the low-frequency tones that are responsible for the booming sounds that you usually hear from cars coming around the corner. There are many types of subwoofer that you can choose from and if you’re picky, you can even assemble a customized one for yourself. 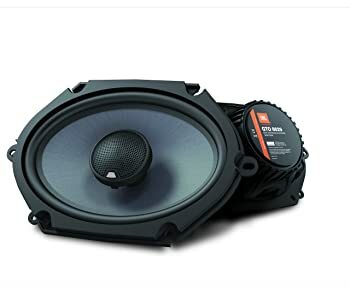 However, there are a lot of specifications and features that you need to know before you buy your first subwoofer for your car. In this article, you will find some examples of the best subwoofers available today. 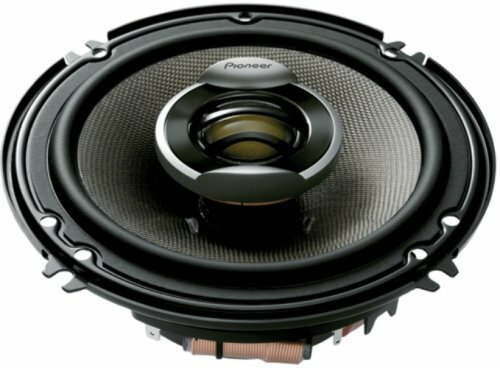 This model is part of the Punch P3 series from Rockford Fostgate’s line of best car subwoofers. The P3D4-12 can handle 1200 watts of peak power and is made with aluminum dustcaps and cones. It also features a spider venting cap that keeps the motor cooler compared to other versions. The VAST technology is also available in this model which helps it expand the cone area up to 25% more. This leads to a more effective speaker minus the complicated installations. This subwoofer is built with Anodized Aluminum voice coil formers which helps give you high-performing heat dissipation of up to 100° (on full levels of power). Compared to other products that use plastic, aluminum performs like a heat sink to dissolve heat build on your speaker’s voice coil. This is responsible for keeping the subwoofers cooler during hot conditions, leaving you with a system that can play for hours on end. The Flexi Basket is another great feature that you can count on while you are installing this speaker. It uses slots over screws and holes which allows you to adjust the speaker even after you’ve mounted it. This subwoofer also conforms to CEA-2031 standards which means that it can handle non-stop power and prevents damage to your speaker’s voice coils. 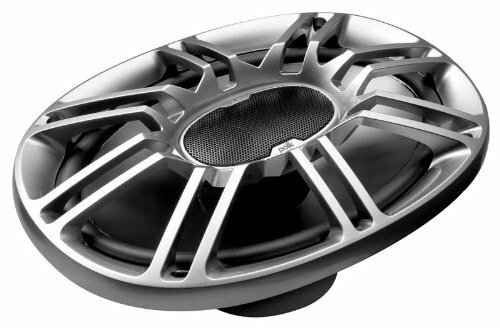 If you want the best car subwoofer for your ride, you best get the one made by the leading audio system manufacturer. Pioneer has been making audio systems not only for cars but also for your homes and they have proven that they are one of the best. The Pioneer Ts-w3003d4 is no exception with its 12-inch speaker size to give you the maximum amount of bass sounds that you need to get all that attention. The Ts-w3003d4 also improved its design from the conventional subwoofers with its dual spider design. The design has improved lines, larger pole, thicker wire and a bigger magnet to make sure that it can handle all the loud bass that you’re going to be playing. It also has a durable basket so you won’t have to worry about it being damaged easily. With its smart design, there is no problem getting an enclosure to fit this speaker in. This product is part of Pioneer’s Champion Series PRO and you can expect a lot of performance with its maximum power of up to 2,000 watts and 600 watts of continuous power. This subwoofer is built to last and is made to perform. If you’re looking for an entertainment system that can hold up to long cross-country drives, the Ts-w3003d4 is without doubt the best choice for you. When you are looking for the best car subwoofer to use for your vehicle’s audio system, you should never sacrifice looks. The Kicker CVR124 is a great subwoofer with high-end specs and a cool design that would surely match your interiors. It features 12-inch speakers which is the perfect size for bass lovers to enjoy their music. This product’s cone is reinforced with ribbed Santoprene surround that makes sure it can handle all the stress when you play loud music. It was engineered with Spiralead technology which uses tinsel lead and spring push terminals for added strength and higher performance. It has a maximum power of up to 800 watts and a continuous power of 400 watts to give you non-stop entertainment while you drive. The Kicker CVR124 is made with dual voice coils for better sound quality and it works best if you use it with a ported or sealed enclosure with a power of 400 watts. Compared to other subwoofers, the Kicker CVR124 was also designed for easy wiring so you can do it yourself if you don’t have the time to take it to the shop. This is a great addition to your vehicle’s sound to make sure that you enjoy all your vacations and road trips. The best car subwoofer needs to provide a powerful yet clean and versatile sound and this is what Pyle offers with the PLPW10D. Pyle’s Power Series offers added performance to your sound system with the highest quality of subs and super powerful bass sounds. It features 10-inch speakers that can handle all types of low-frequency tones in all levels. Be sure to turn heads when you play loud-bass music everywhere you go. These speakers promise to add more life to your car’s audio system with its 1000 watts maximum power for long hours of music playing. It was engineered with high-temp dual voice coil and heavy magnets to ensure durability and long-lasting ability. The steel housing provides even more durability while the loud bass sounds are amplified by the wide rubber suspensions and especially designed cones. To avoid damage and to protect your speakers, Pyle created this subwoofer with surrounding foam that is specially made for protection. It was also made with vented and bumped motors to extend the life of your speakers. You don’t have to worry about space because it only requires a small enclosure to perform at its best. This is a great product to build your audio system with and is sure worth your hard-earned money. Check out this USA-made best car subwoofer if you want great quality sound and music experience while you travel. 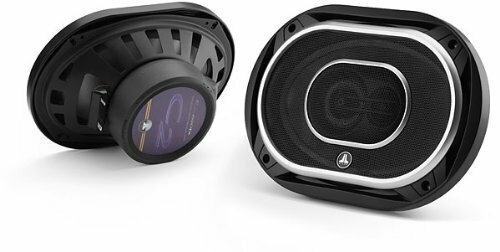 The Alpine SWR-12D2 Type R subwoofers are specifically made to offer flexibility when it comes to installation. This is every car audio enthusiast’s dream subs because it also gives you versatility for your application so you can build your dream sound system easily. Compared to other subwoofers made by Alpine, these Type-R subs have over 20% more of motor force so you can expect a more accurate, cleaner and louder bass with a lot more control. This model was also built with the Radial Vented Cooling system that is only unique to Alpine. This cooling system minimizes power compression and ensures all-day playing without worrying about overheating because it takes heat away from the voice coils to avoid damage. When it comes to handling power, the Alpine SWR-12D2 will not disappoint because of its anodized voice coils that can offer a surface area of up to 35% more. This allows for a better power handling of up to 3000 watts and 1000 watts continuous power. That’s all the power handling you need for your long trips and even more. For car audio enthusiasts, Alpine recommends using their PDX amplifiers with the SWR-12D2 to experience the best sound quality. A subwoofer is a loudspeaker that is responsible for the reproduction of low-frequency sounds. Most people identify the subwoofer for their loud bass sounds that come from cars. However, high-quality subwoofers are made to expand the low-frequency sound of recorded music as well. Subwoofers revolutionized the automobile industry by giving a car’s audio system its much-needed upgrade for better sound quality. This is the speaker itself and needs to be mounted into an enclosure for it to function properly. This type of subwoofer needs an external amplifier to serve as its power. The sizes may range from to 5 inches. This is a combination of a subwoofer and amplifier that is inside an enclosure. You don’t need a lot of space inside your vehicle to put your powered subwoofers in. The downside is that these types of subwoofers only produce a limited amount of bass. This is the type that you can get in malls and other audio stores and are known to fit into any kind of location inside your vehicle. If you want high-quality bass and good quality sound, this is not the best product to chose. If you want to personalize your audio system and build it with your own chosen components, you can start by looking at different component subs first. A component sub is the speaker that needs to be mounted in an enclosure so you can use it in the car. You will also need to find a way to power the sub by using an external amplifier. The size of speakers can range from 8 to 15 inches and the power that you need depends on the model. There are many specifications that you need to consider when choosing the right component subs so you have to read the specifications very carefully. You also have to familiarize yourself with the different types of setup that have been used by previous builders. The internet is usually a great resource for this type of information. You can take a look at enclosed subwoofers which are speakers that are already mounted into a box. Much like a plug and play version of the subwoofer, these make it easier for you because it removes the step of having to build the enclosure yourself. The downside to choosing this kind of subs is that you don’t get to choose the components that you are going to use or the type and looks of box that you will have. To be honest, your choices are pretty limited because you can only choose from the ones that you see in an audio shop. You also need amplifiers to power this type of subs. Why Do You Need a Car Subwoofer? Car audio systems are specifically made to operate within the space that is available inside the vehicle. Unlike home audio systems, cars cannot have big speakers and powerful amplifiers but they are also expected to produce a rich sound. With smaller components, it’s almost impossible to produce high-quality sounds. However, thanks to the subwoofer, this problem is easily solved. Vehicle subwoofers create a rich bass sound as well as low-frequency sounds that are essential to the overall sound quality of your audio system. Low-frequency tones are the ones responsible for the sound’s fullness regardless of how soft or loud you play it. Because of this, having a car subwoofer is crucial in creating a great sound experience in a confined space. The subwoofers filter bass tones to replace mid-range speakers that can’t do it. A subwoofer is responsible only for the bass range of the music to make sure that it is properly enhanced. Having a standalone subwoofer reduces the demands needed from the other speakers in the car. Because of the subwoofer taking care of the bass sound, the other speakers can focus on the higher frequency sound. The bass range of any sound system can range from sounds that you can barely hear to the very loud sound that also comes with intense vibrations. Because of its wide range, using a standalone subwoofer is the only proper way to integrate the low frequencies to the mid and high sound range that the system produces. Subwoofers usually have a round shape because it helps avoid distortion. Round subwoofers are installed in the back seat or the backmost part of the car. Just to be clear, you can also find subwoofers that aren’t rounded in the market today. 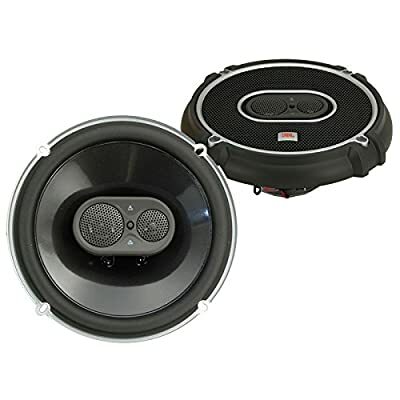 These subwoofers can be placed inside your vehicle in such a way that it can perform at its best and provide the best quality sound for the listener. A problem that you can experience with a vehicle’s audio system when you don’t have subwoofers is distortion. This occurs when a smaller speaker’s cone vibrates beyond the capacity that it can handle that it’s no longer able to produce clear sounds. The bass range is often a victim of distortion because it needs a lot of power and a greater output to create a low frequency sound. By installing a subwoofer that is able to handle the series of low frequency sound and the high bass volume, you are sure to have a great musical experience. On top of this, you can place the subwoofer at the bottom of the car or on the floor of your vehicle. This provides stability to prevent vibration. When bass sounds go into higher volumes, there is always a chance that small speakers will be damaged. Forcing small speakers to handle higher levels of low frequency sounds can cause cracks and tears to the speakers. Smaller speakers are usually made with plastic or cardboard and are made to handle high range music with quicker vibrations and shorter cone movements. Subwoofers, on the other hand, are made to handle deeper and longer cone vibrations that are great for low frequency sounds. When you add a subwoofer into your audio system, it becomes solely responsible for the bass sounds which prevent damage to happen to the main system. When there isn’t enough power in your system, you can also count on the subwoofers to save the main speakers from damage. It is a known fact that bass is non-directional and you can place it anywhere inside the vehicle but it will still have that “surround sound” effect. This is the main reason why most subwoofers are located in the back of the car where they can still function perfectly. This is great for those who have a limited space in the car and only have the back compartment as its free space. Power – If you want a sound system that gives you the best boom sounds, then you need a lot of power. Focus on the RMS power ratings on your best car subwoofer because RMS ratings measure non-stop power managing or output. It’s also good to match your subwoofer’s power handling to the amplifier’s power production. Sensitivity Ratings – This goes together with power to give you the highest output that you can have. The lower the sensitivity rating on your subwoofer, the less power you need to create a good amount of sound. Frequency Range – This helps show you the lowest range of sound that your best car subwoofer can play. Although this is good information, you need to remember that the performance of your subwoofer depends on a lot of factors like the enclosures that you put it in. Type of Enclosure – The kind of box and enclosure that your subwoofer has will directly affect the sound that it will produce. Sealed boxes produce the most precise and deepest sound while boxes that are ported as well as other types of enclosures are proven to generate more volume. Voice Coils – Subwoofers with a dual voice coil are the choice of those who want to have more options when it comes to wiring their sound system. While there are subwoofers that only have one voice coil, dual voice coil subwoofers utilize two separate voice coils that have their own separate connections. 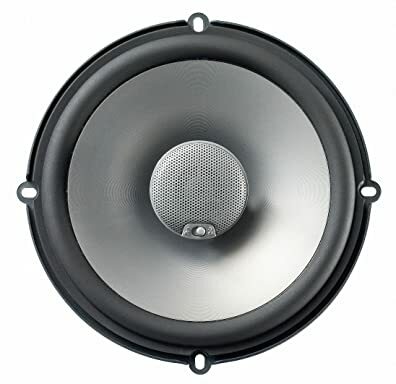 Size of the Subwoofer – The sound of the best car subwoofer involves a lot of factors. However, if you want an audio system that plays the best bass sound and if you have a lot of space in the car, go for the biggest size of subs. This doesn’t mean that smaller subs cannot produce the same quality of sounds. If you put enough power and choose the best enclosure, this type of sub can create the best sound. Impedance – Once you have chosen the subwoofer of your choice, you can now start looking for amplifiers that can match your subwoofer’s power ratings and impedance. There are a lot of amplifiers that are available today so it won’t be very difficult for you to find one that is perfect for your system. Subwoofers make it possible for you to play loud bass sounds and ensure balance within your audio system. This is why you need the best car subwoofer if you are planning to setup an awesome audio sound system. A great subwoofer is high performing, durable, and has good power handling ability and cooling system. It’s best to buy from a trusted brand so you know that you are getting a good quality product. The Alpine SWR-12D2 Type R subwoofers are at the top of the game with highly-engineered parts and smart design. Remember that you have a lot of things to consider before purchasing your new subwoofer. If you opt to build your own enclosure, be sure that the size is according to the specifications given by the manufacturer for optimum performance. With the best car subwoofer added to your audio system, you are sure to enjoy the best quality of music while you drive across the country with your friends and family.